Yard sale shoppers flock to the Cordova, Tennessee each year for the annual Countrywood Neighborhood Sale. Regular attendees usually just call it the Countrywood Yard Sale. Cordova is a suburb of Memphis, and Countrywood is one of Cordova's largest subdivisions. The Countrywood yard sale draws crowds from all over the Greater Memphis area and from neighboring states. It frequently features more than 200 yard sales—and that number doesn't even include unregistered sales. The Countrywood Neighborhood Sale takes place in the fall, typically in September, and includes the adjacent Carrollwood Lakes neighborhood. The sales are held in the Countrywood and Carrollwood Lakes subdivisions of Cordova, Tennessee in the Greater Memphis area. Entrances to sale neighborhoods off of Germantown Parkway and Highway 64. Check an area map. The sale takes place officially on one Saturday in September, but lots of sellers open for business on Friday, too—enough that's it's worth going on both days. The Friday sales tend to start later in the day (anywhere from late morning to late afternoon) and stay open until almost dusk. The Saturday sales can open at dawn and close at dusk, but each homeowner determines their own hours within those limits. The sales are held rain or shine. Lodging at many different hotels and motels in Cordova. If you are visiting the area, you may want to take in attractions in Memphis, including Elvis Presley's Graceland mansion. Food vendors are usually scattered throughout the neighborhood, so just follow your nose. Enjoy homemade Memphis barbecue, funnel cakes, and plenty of county-fair-style offerings. You'll see rows of portable toilets installed at various spots in the neighborhood, but you'll probably have to wait in line. If you find yourself at one of the convenience stores at the edges of the subdivision, stop and use the facilities while you're there. The homeowners have been instructed not to let anybody into their homes to use the restroom, so don't ask. Countrywood is a large subdivision and parking is tight during the sale. Park as close as you can to a cluster of sales, grab your rolling cart, and walk to the sales in both directions. Then, return to your car and drive to the next cluster. Be aware that's it's not legal to drive a golf cart in the neighborhood, in case you were thinking of that as an option. The Countrywood and Carrollwood Lakes neighborhoods have lots of twisting, winding streets and just as many cul-de-sacs. Keep a map of the neighborhood handy, either on paper or pulled up on your smartphone or GPS. The Countrywood Neighborhood Sale really is a neighborhood yard sale. Except for those set up in the St. Francis church parking lot at the Germantown Parkway entrance, you won't see tents full of antique or import dealers. Beware of blocking driveways or mailboxes, and do not litter. 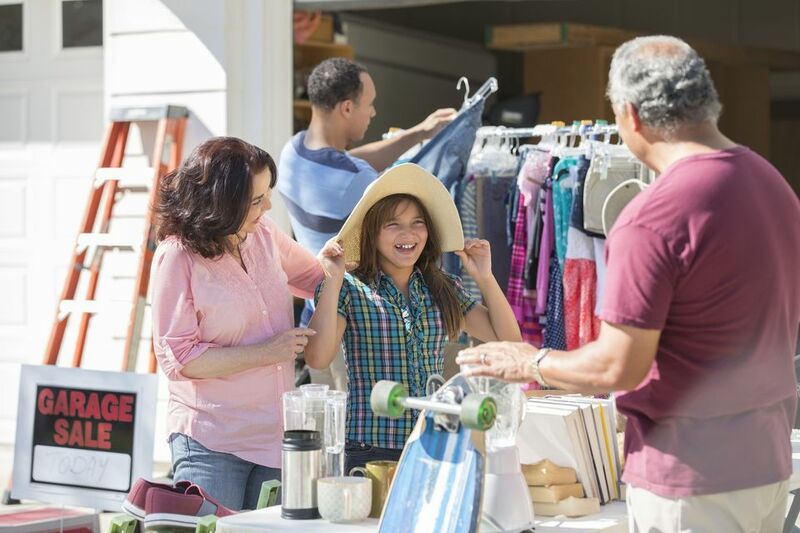 Not every neighborhood resident is a fan of the yearly yard sale—and you don't want to give the detractors any extra reasons to complain. The increased traffic is already enough of an inconvenience for the people who don't participate. Check the Countrywood Neighborhood Sale website for more information.